Expectations were for a prolonged maximum of the Orionids meteor shower this year, but with a more or less distinct peak either early on Oct. 21 or Oct. 22. Instead the activity remains high at a level of roughly ZHR ~40 since early October 20 - for three full days now and with no drop-off in sight. Some pictures, a report on the long maximum (earlier, still earlier), some analysis and for the record further previews here, here, here (earlier), here and here. • Finally some consensus re. 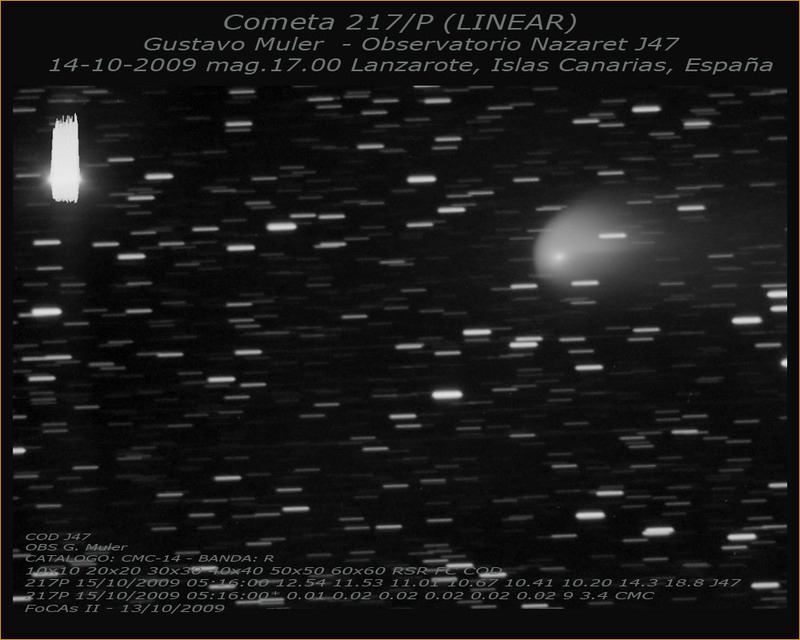 the Leonids this year is building: The "500 or more" modeller has come down to ~200 as the max. ZHR - and his main 'competitor' is up to ~175. So it'll be a shower a bit below the Perseids this year? But in any case with less lunar interference! 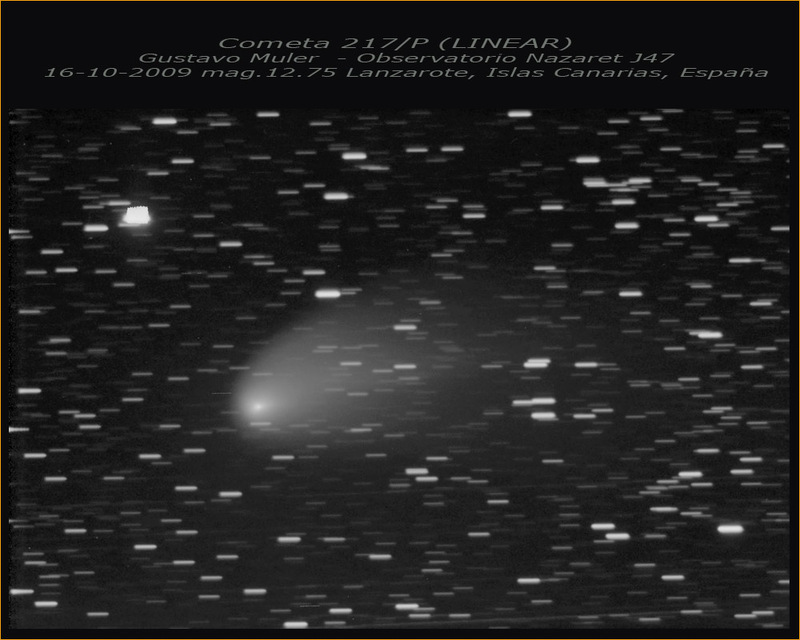 • The Canadian September bolide has led to several meteorite discoveries! A press release, an earlier one and coverage here and here. • From the Dutch/N German bolide much better pictures and stories here, here, here, here, here, here, hier, hier, hier, hier, hier, hier, hier, hier (mehr), hier and/und hier. In other minor body news such a body of 5 to 10 meters exploded over Indonesia on Oct. 8 (well studied thanks to infrasound recordings), while a rock of similar size safely passed Earth a week later - and the exact events around the case of 2008 TC3 and the political 'impact' are still debated. • Meanwhile the largest NEO discovery in over one year has been reported (and doubted! 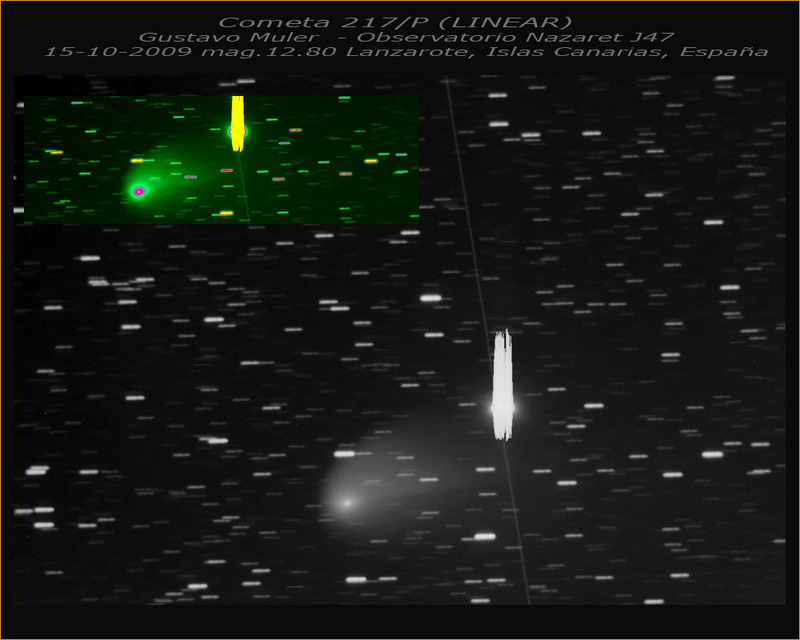 ); with a H~16 the size is around 2 km. • And in Russia a meteorite. 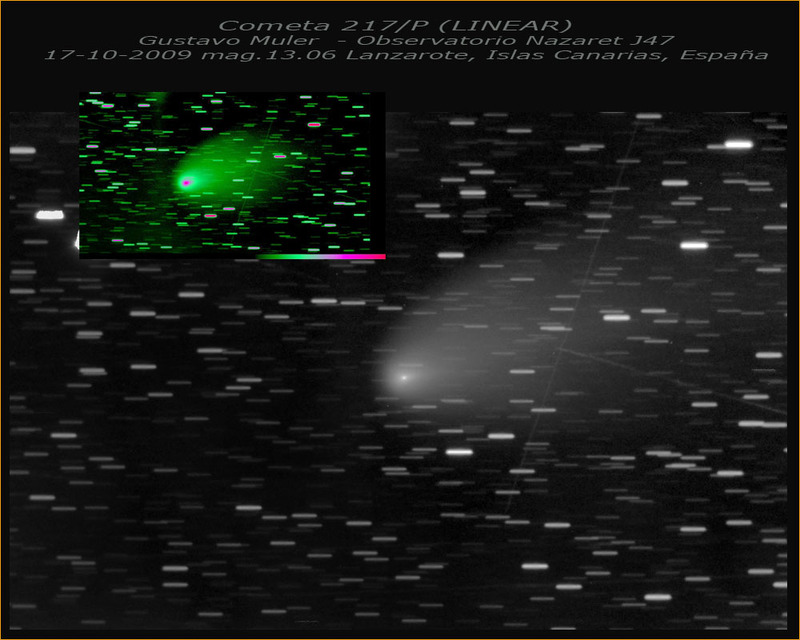 • Elsewhere in the solar system comet 217P/LINEAR suffered an outburst - while never exceeding 10th mag., the comet looked a bit like 17P/Holmes in good pictures initially. Here are some of Oct. 22, Oct. 18 (more), Oct. 17 (more, more, more, more), Oct. 16 (more), Oct. 15 (more, more), Oct. 14 (more, more) and Oct. 13, plus a visual report from Sep.; the Indian observer wasn't impressed. In other news a Moon/Antares appulse (actual occultation missed) and the morning planet/Moon arrangements of Oct. 16 in Germany and Italy and on Oct. 15 (more), Oct. 14 in the U.S. and Germany (sequence 1 - 2 - 3 and more) and Oct. 13, plus several more pictures. • STEREO images of a big prominence (alt. ; more). • As this blogger also confirmed visually this morning, Epsilon Aurigae is at 3.4 mag., half-way between max. and min. The eclipse may have been delayed a bit - and while visual estimates are easy, though some)(it's easy, they can be off by several tenths of a mag., depending on the eye). • Will R CrB ever become bright again? The current minimum lasts 2+ years already! • Another amateur exoplanet detection. • Stellar occultations by Minerva are worth observing. 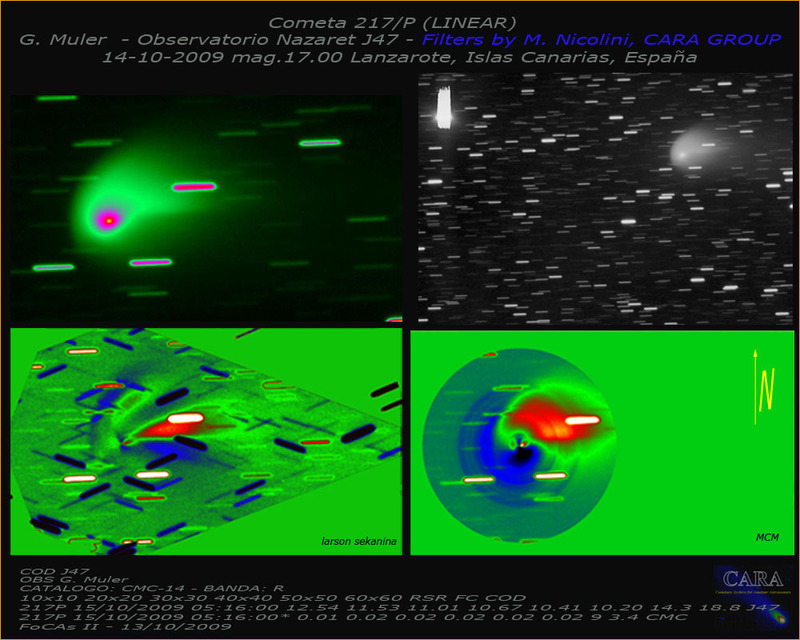 • predicted effects from unusual experiments (see 16:37 entry) during a rocket launch led to weird sky effects over South Africa and Europe; see also here! • Finally winners of an astrophoto competition and another near-space balloon flight just for fun. It happened near 17:00 UTC today over the Netherlands but was also seen - low in the sky - from Northern Germany: a bright fireball at dusk of which also a dramatic photograph exists. Soon more reports came in, like here, here, here, here, here, here, here and here (the latter with great pics of the smoke trail dispersing): The bolide split in mid-flight into half a dozen fragments, and a trail in the sky remained for many minutes. • There were also bright fireballs over New Mexico on Oct. 9 and Canada on Sep. 25 (a possible meteorite-dropper, also mentioned last time and also here, here, here and here). 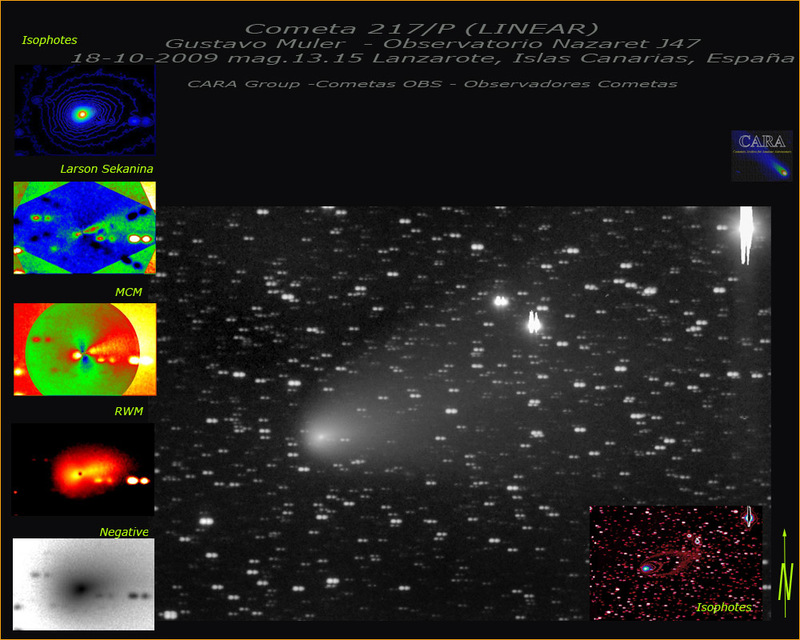 • Also an update on the Pacific bolide and an unusual bolide report from a soccer fan forum! 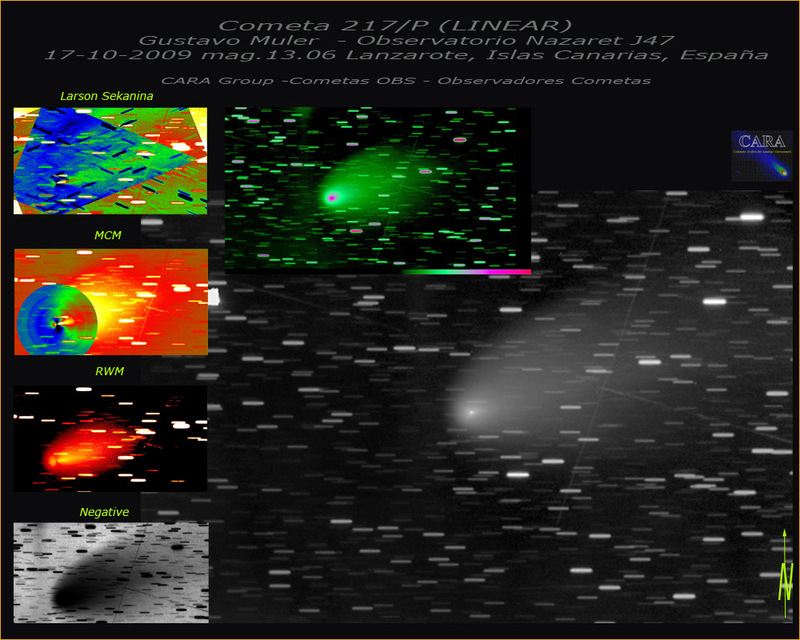 • An all-too-often quoted prediction for the 2009 Leonids had them peak at a max. ZHR of 500 - but this calculation (never supported by other dust trail theorists) has now been retracted, with a max. ZHR of 200 instead. Still impressive perhaps, but only on a par with e.g. this year's Perseids. 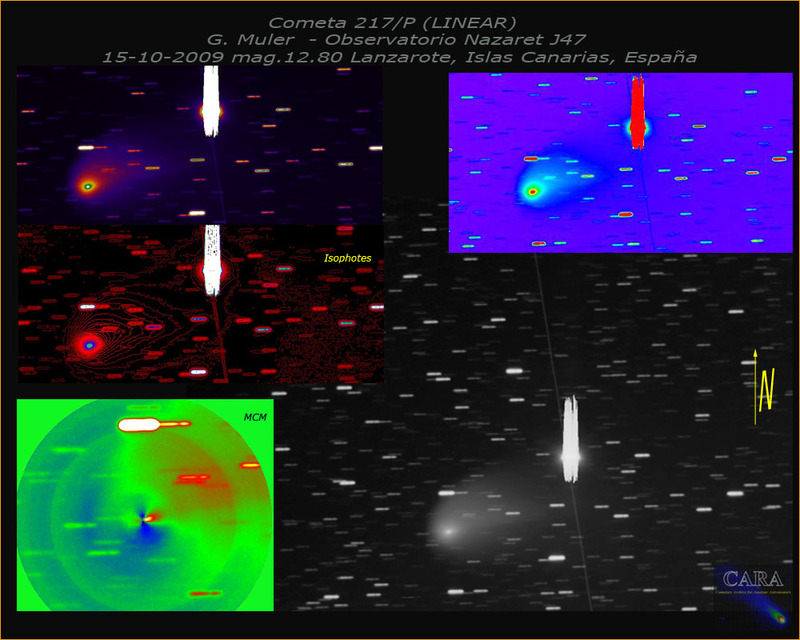 • More insights about the asteroid-turned-bolide-turned-meteorites 2008 TC3 have been published (alt., alt., more, more and more). 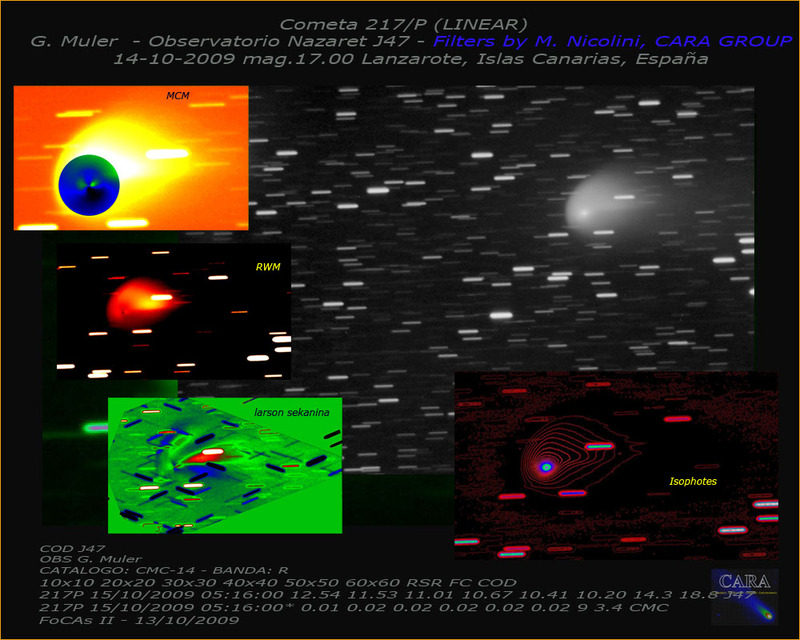 And the impact risk for Apophis is all but gone as discussed in detail here. 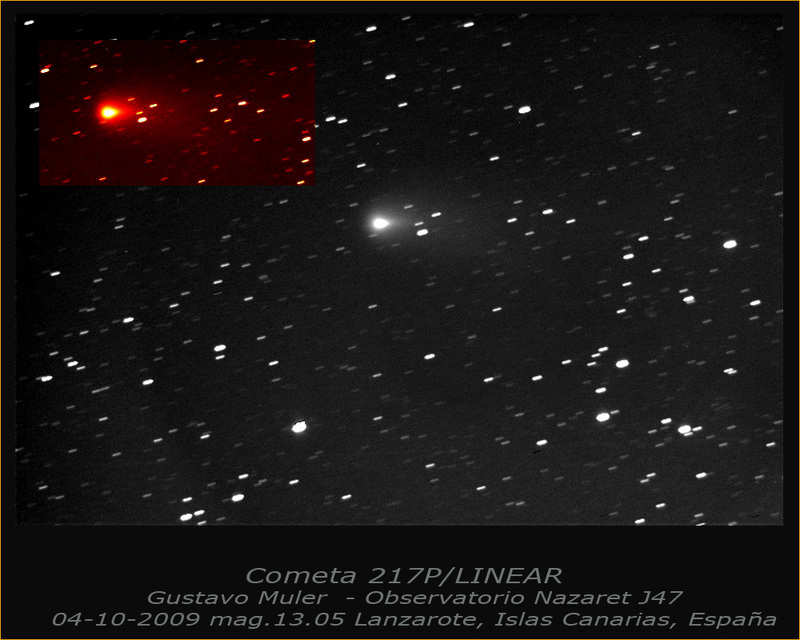 In other news the La Sagra Sky Survey - just recently successful for the first time - has discovered its 2nd comet, with perihelion next January. 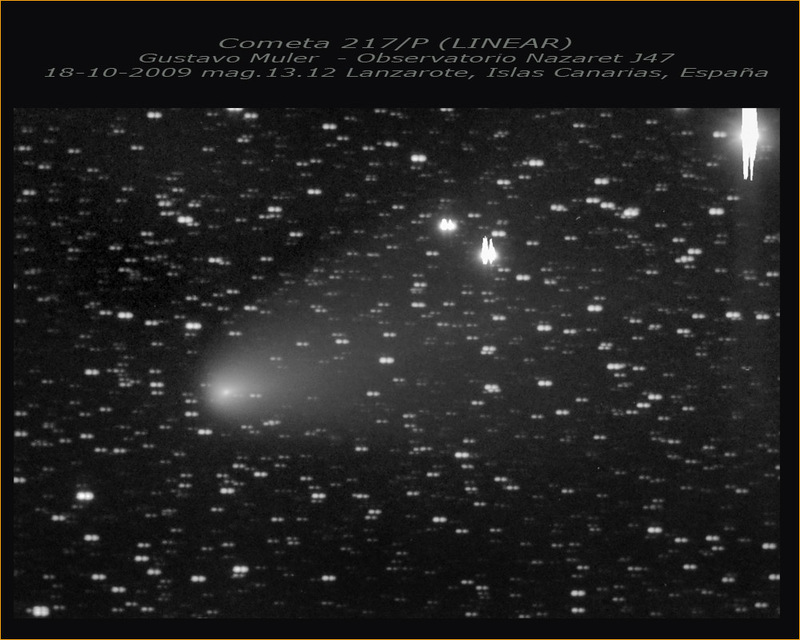 • Recent studies deal with the rotation of the nuclei of comets Tempel 2 and Lulin (also discussed here). 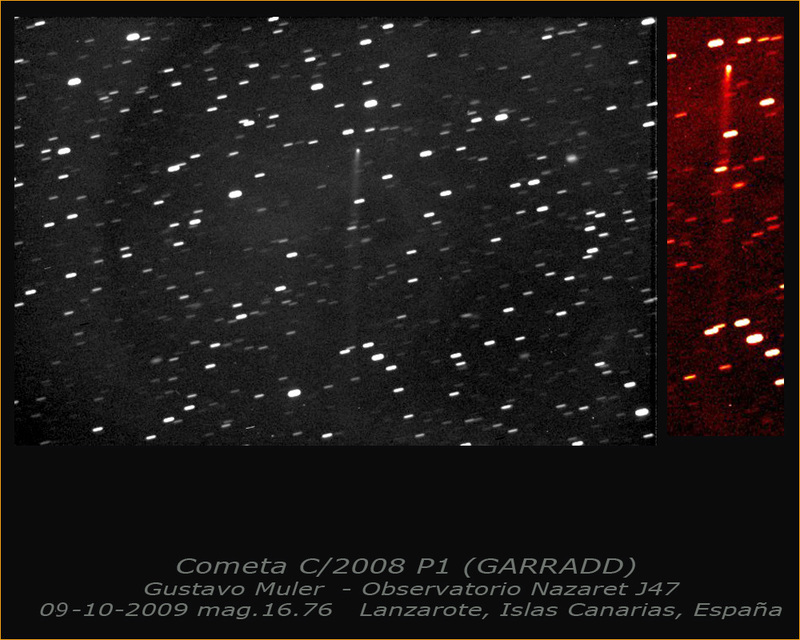 • Nice pictures of the tails of Garradd and 217P/LINEAR on Oct. 4. • Of the current morning sky show with various conjunctions of planets nice views of Oct. 13 (Saturn close to Venus) and Oct. 9 (Saturn close to Mercury), plus a Moon/M 45 conjunction on Oct. 7 (also a - controversial - composite attempt). • Meanwhile on Jupiter a dark spot on Sep. 19 (rotating), the surface of Callisto and a mutual event on Oct. 3 (another and yet another report). • Hi-res pics of the Moon. • An analysis and Oct. 3 report on Eps Aur's fade - and TT Ari is fading, too. 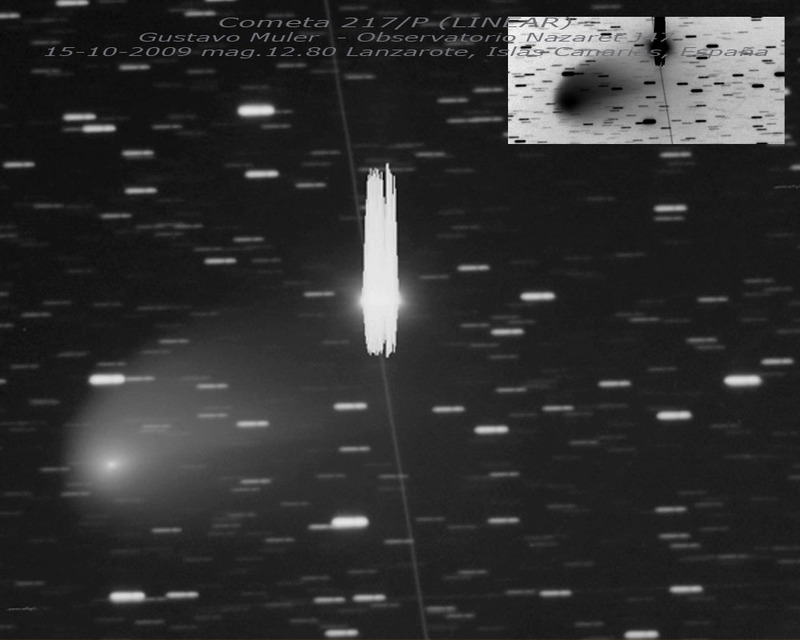 • Finally Earth weather leaking into space, problems with Pan-STARRS, the sociology of Galaxy Zoo volunteers and a fine ISS in front of moon (not its shadow, of course).